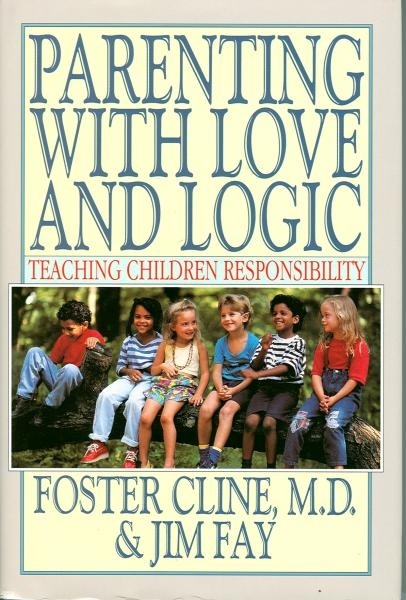 Cline and Fay continue with their Love-and-Logic Tips as we finish looking at the first half of their book, Parenting with Love and Logic. Love-and-Logic Tip # 13 Eat Nicely Here, or Play on the Floor – Instead of making demands; parents can give choices that tell the child what kind of behavior is necessary for sitting at the table with the family. Natural consequences for choosing the floor include being hungry before breakfast. Children react to commands either with Passive-Aggressive Behavior or Passive-Resistive Behavior, sabotaging the process. Love-and-Logic Tip #14 Let Your Yes be Yes, and Your No Be Yes, Too – Two year olds use “No” and equivalents 77% of the time. Hear, my child, and accept my words, that the years of your life may be many. “Avoid a control battle at all costs. If you’re going to get into one, win at all costs. Instead of making threats that are difficult to follow through on, say “No problem. Our car is leaving in 5 minutes. There are two ways to leave with me: Hungry or not hungry.” No need to count down with put-downs. Quiet time for deliberation accomplishes more. When the time is up, announce, “My car is leaving.” If he says, “I am not finished.” Dad can say, “No problem (see # 18), son you go “under your power” or “under my power.” If the he chooses to not go under his own power, Dad must pick him up (yelling and screaming) without a word. Let your actions and his hunger teach. Don’t let the child turn the table and make you do the thinking. Cause their Brain Drain by making them choose from your choices and stick to it. Instead of saying, “No, you can’t go until you sweep the garage,” say “Feel free to go once you sweep the garage.” Don’t back down; continue to give the options until he does it. Only give choices you can live with. Only give choices that you are willing to let the natural consequence run its course. Only give choices that keep the child safe. Only give choices you can and will make if the child does not. My child, if your heart is wise, my heart too will be glad. Love-and-Logic Tip # 20 Warning: Good parents don’t give warnings. Allow natural consequences to do their work while showing empathy. For example, since you cannot force a person to go to sleep, turn the responsibility of bedtime fall in your child’s hand. Possible rules: 1. After 8:00 pm, we don’t want to see you; it is our private time. 2. Everyone will get up at 6:00 am. Show empathy to sleepy child as you send them off to school. This is how the real world operates. In the real-world a bus does not wait until you arrive; it operates on a schedule. Train a young person to be on time by establishing the schedule and sticking to it. “I will be at the store to meet you from 5:00-5:03. If you are not there, I will pick you up from 10:00-10:03 etc. “When no consequences occur naturally, the imposed consequences must (1) be enforceable, (2) fit the ‘crime,’ and (3) be laid down firmly in love.” P. 94 If you need more time to think of a consequence, tell them that you will think about it and let them know. I have taught you the way of wisdom; I have led you in the paths of righteousness. When you walk, your step will not be hampered; and if you run, you will no stumble. Next time we will begin learning the Love-and-Logic Parenting Pearls in Part II.